The blouse is very important apparel in Indian clothing. The blouse was earlier considered just as an undergarment which is worn by ladies with a sari. But, as the time changes, the blouses have become a fashion statement. There are various styles and designs in which the blouses are being designed. Blouses now-a-days are being designed in various ways. Be it the neck or back or sleeve designs of a blouse. There are numerous ways and styles a blouse can be stitched. There are many fashion experts who have contributed to making blouses a fashion statement. Now, blouses have become a fashion all over the world. Here are a few expert tips you should know if you want to get some trendy blouses included in your wardrobe. 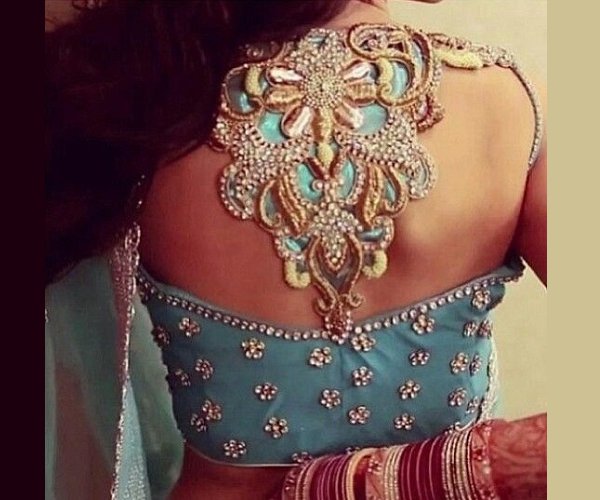 The traditional designs are being stitched and loved by women since a long time. The traditional designs vary according to different states of the country. Some are full sleeved, some are half sleeved, dori fashion, printed blouses, zari border blouses etc. These blouses are evergreen in fashion. You can wear them at anytime and any function. The modern blouses are generally stitched in contrast with the sari color. 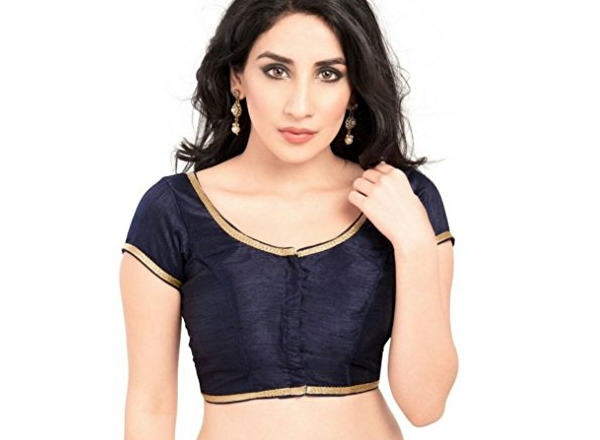 The modern trends include very bright colors, different cuts, padded blouses, deep neck, think strip sleeves, sleeveless blouses, halter blouses, off shoulder blouses and many more. These types of blouses are suitable for evening parties or red carpet events. The modern trend blouses are popular, especially among young girls and ladies. This is a blouse which is a must in your wardrobe. The reason why ladies love the golden blouses is that this color suits on any sari. 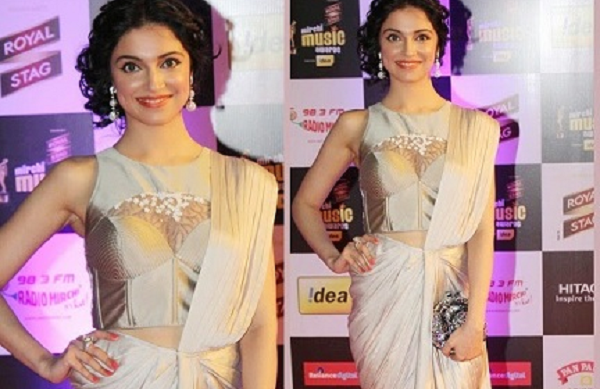 You can easily make a contrast combination of the golden blouse with any colored sari. The golden blouses give a classy and royal look. There are many types of fabric you will get in golden color. You may choose the fabric as per your wish. Blouses can also be stitched in various fusion combinations of fabric and designs. There are many designs in which you can get an embroidery pattern on the fabric. The other styles can be done by using the net, velvet fabric, jama work fabric in a combination with silk or cotton fabric. These combinations give a trendy fusion along with elegance. Blouses are getting trendier day by day. The blouses are also paired with many accessories which help you to make the blouse look beautiful. These can be paired with things like a broach, nice dangling earrings, studs, a nice neck piece, heels etc. These have taken place of apparel, now. Gone are the days when blouse was a necessity, it has become a desire, now. So, modify your old wardrobe and get a new one. It’s time to change the look of your wardrobe. Expert tips on blouse design ideas. Latest blouse designs and various ways to make your blouses look beautiful.